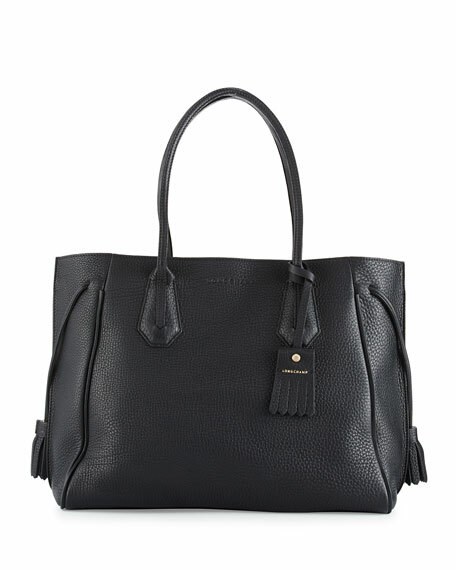 Longchamp grained leather tote bag. Rolled top handles with hanging logo tag, 8" drop. 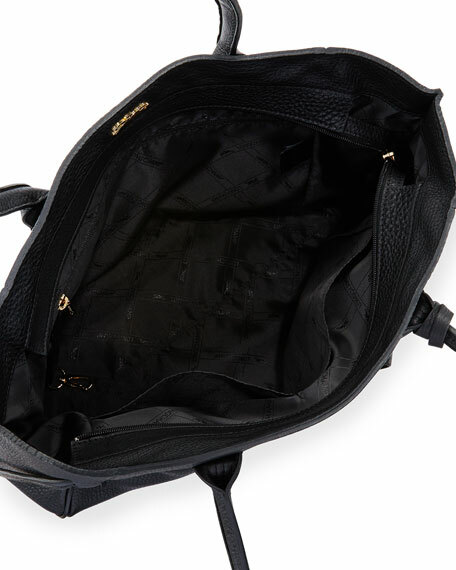 Interior, nylon lining; one zip and two slip pockets; key clip. 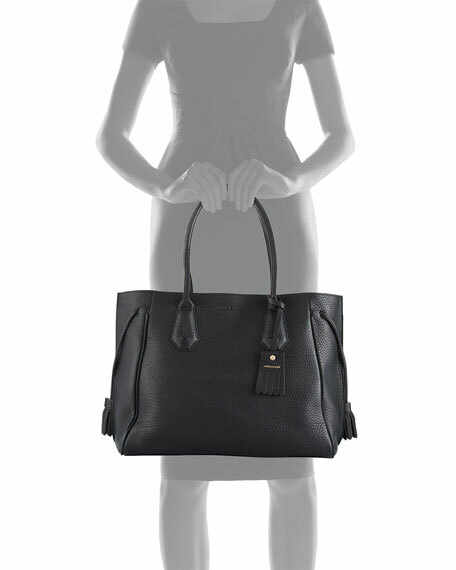 11.8"H x 15"W x 6.3"D.
French company Longchamp was founded by Jean Cassegrain in 1948. It originally employed individual craftsmen in the Loire Valley countryside to create leather coverings for tobacco pipes and other smoking products. By 1955, Longchamp expanded to include small leather goods, opening its first factory in Segre. Throughout the years, Longchamp became known for its lightweight travel goods, and now also produces clothing, scarves, and other fashion accessories. The founder's son, Philippe Cassegrain, is the current company president.